Struck with Parkinson's - a debilitating, degenerative disease - at the height of his fame, Michael J. Fox has taken what some might consider cause for depression and turned it into a beacon of hope for millions. In Always Looking Up, Michael's Sunday Times bestselling memoir, he writes with warmth, humour and incredible honesty about the journey he has undertaken since he came to terms with his condition. "The book is funny, beautiful, informative and poignant. Read it"
Michael J. 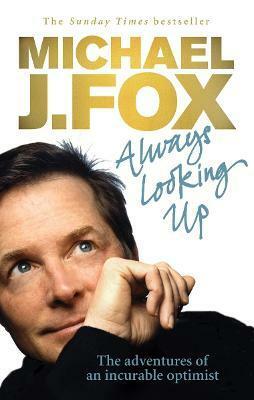 Fox is best known today for his hit Channel Four sitcom Spin City that he also produced. In the eighties he became an international mega-star, first through TV shows such as Family Ties, then through the record-breaking Back To The Future movies. He launched the Michael J. Fox foundation for Parkinson's Research in 2000, which has leapt to the forefront of the effort to find a cure. He lives with his family in New York City.